Do you like to find ways to recycle or reuse items to make new things? A great item for people to have to use for making a DIY project is old pallets. One thing about pallets is there are different types available. This means you really need to know how to tell if your pallets are safe to use. Pallets are used to transport many types of products. They can be used primarily inside or made for use outdoors. All pallets have a stamp or marking indicating if it has been chemically treated. This means a simple way to know how to tell if your pallets are safe is to research the markings that are used. 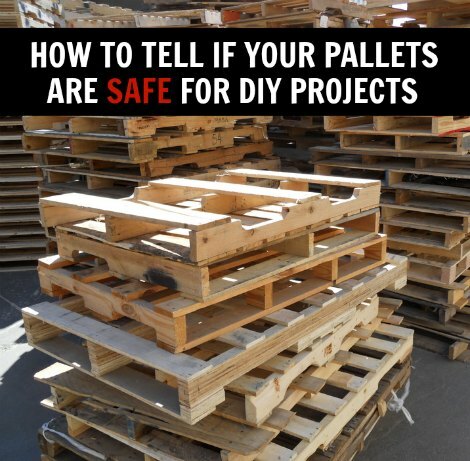 If you know how to tell if your pallets are safe, then safety will not be an issue to worry about. The reason to avoid the use of pallets that are chemically treated is they can harm organic compounds.